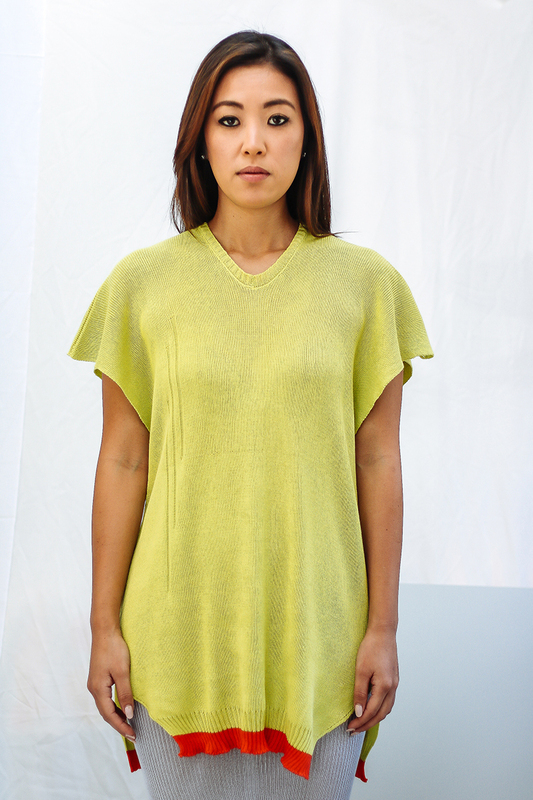 The Logan knitted short, summer dress has a gorgeous popping colour, with contrast cotton tangerine ribbed hem. 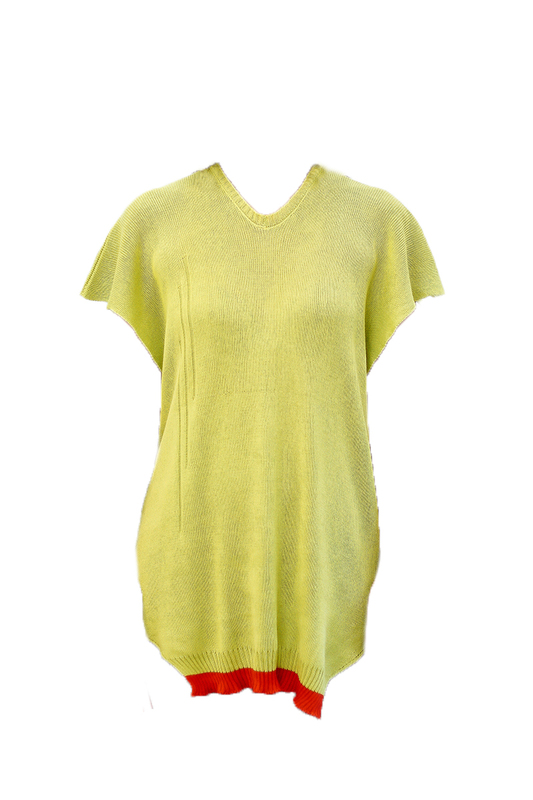 This chic women’s knitted dress is loose fit, perfectly matched with a skirt, trousers or on its own. The stitch details in the front and back has a unique artisanal finish. 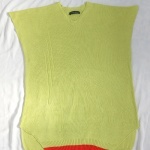 One size, loose fit, size 12 UK. Length of dress 77cm, custom sizes possible. Category: Dresses. 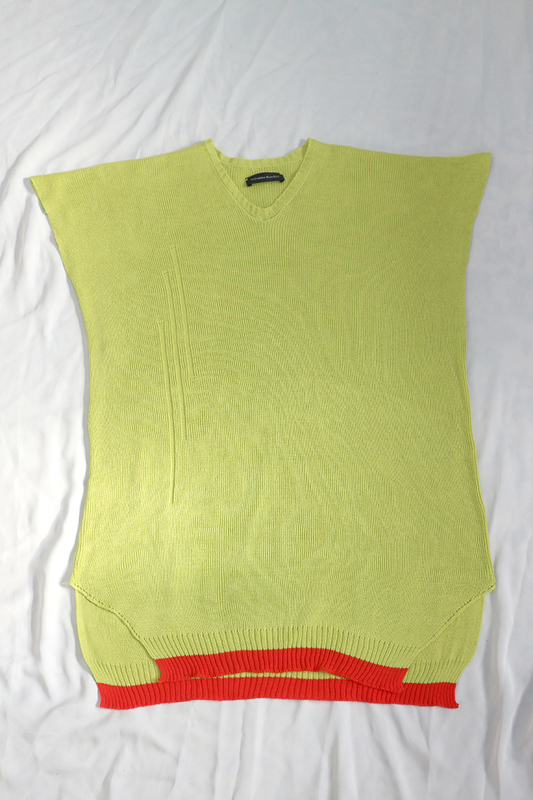 Tags: bright knit dress, Dress, ethical fashion, ethically made dress, fashion knit dress, knitted dress, lime dress, slinky dress, summer dress, womens dress.